Hello everyone! I'm a freelancer with many years of experience in applying proper SEO techniques to improve website rankings. 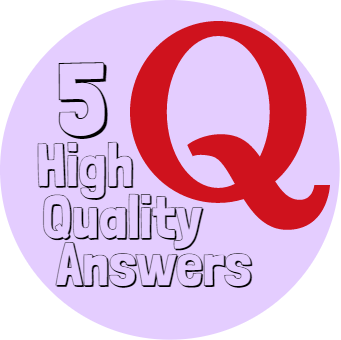 I will provide 5 High Quality Answers to raise your website in the top searches. You'll send to me your Website URL and I will search relevant questions to your niche, then I will make 5 Professional Answers including your URL. This Service Is Guaranteed - If you'll not be satisfied with my work you'll GET YOUR MONEY BACK ! Check out my Gig's Extras, if you need more benefits !